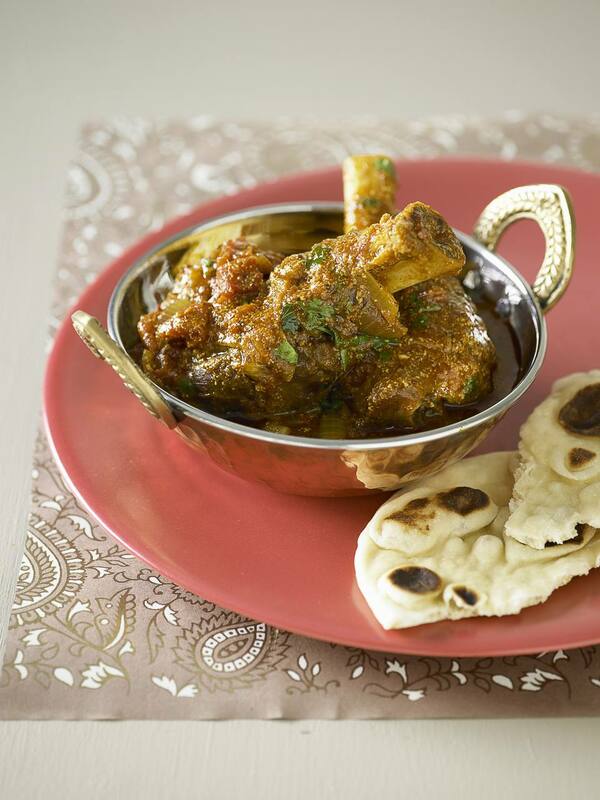 Dahi gosht is a thick, creamy North-Indian curry best eaten with rice and a green salad. The creamy curry is delicious, which in our opinion, is the key to making this a must-try dish. Mix salt, pepper, yogurt, turmeric powder, half the ginger and garlic pastes and green chillies together. Marinate the lamb in this mixture for 30 minutes. Heat oil in a deep pan and fry onions and remaining ginger and garlic pastes till fragrant. Add the tomatoes, cumin powder, bay leaves, coriander powder and garam masala and continue to fry till the oil separates from the mixture. Add the marinated lamb and cook till most of the liquid has evaporated. Pour in the lamb stock and cook till the meat is tender. Garnish with chopped coriander and mint and juliennes of ginger and serve.